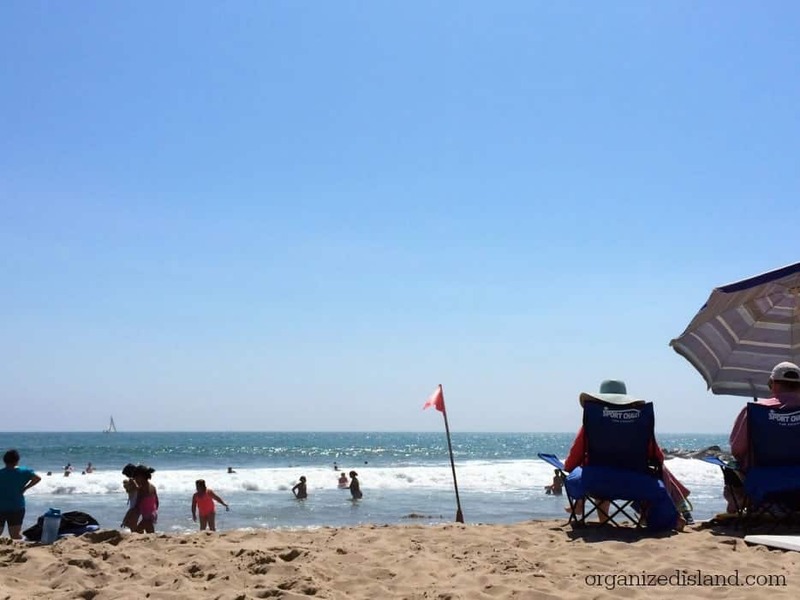 These summer faves are a few things that I have discovered this season that I love. Some of the products listed were received free of charge. This post contains affiliate links, see full disclosure policy here. Hello Friends! I am typing this as the sun is rising here in sunny California. With school starting, it feels like it should be fall, but the weather is definitively summer. As I reflect on the events of this past summer, I cannot help but think about some of the cool things I discovered this year, that I want to share with you. 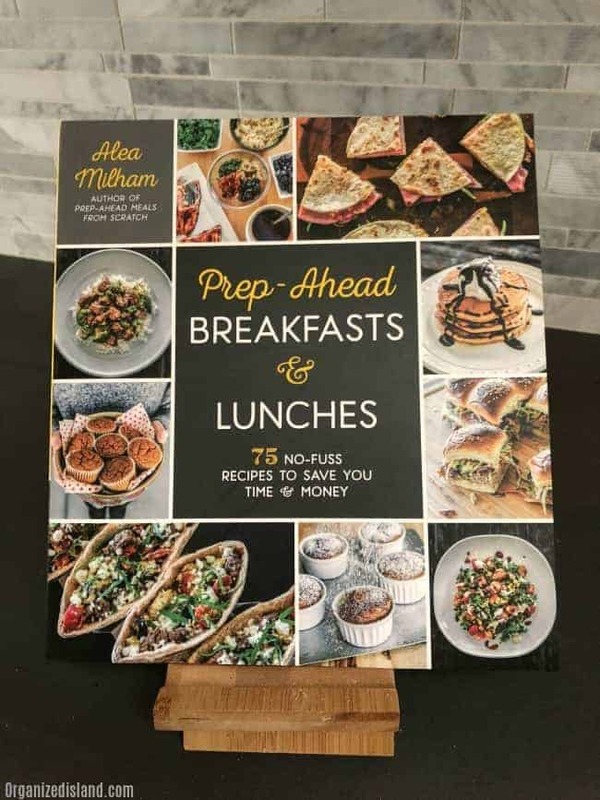 My friend Alea Milham wrote her second cookbook, Prep-Ahead Breakfasts & Lunches. I loved her first cookbook and wrote about it here, so I was very excited when I heard her second book was out. Prepping ahead meals saves so much time and you all know how I love saving time! But it also saves money too! By having some meals prepped ahead of time, you are less likely to eat out or order that delivery pizza. In this book, she shares recipes for dishes like Quick Breakfast Breads, One-Bowl Wonders and Make-Ahead Desserts. Her Italian Vegetable Mini Frittatas and Lemon-Dijon Chicken Pasta Salad are seriously some of the first recipes I plan to try from her book. Each recipe has a dedicated page for the recipe details and another for the photo. The Pizza Breakfast cups are seriously a great way to be prepared for breakfast. The recipe details include storing and reheating directions which are very helpful. Each recipe is beautifully photographed and looks deliciously good. I love the innovated recipes such as the homemade oatmeal packets, the Mason Jar Eggs and the Chopped Chimichurri Steak Salad. These are not only great batch-cooking recipes, but they offer a new twist in the typical recipe box. There is also a section for sauces such as spaghetti sauce, pizza sauce, and barbecue sauce. Talk about a great way to save money and control the ingredients of these often-used sauces. This is a great cookbook for adults of all ages. There are 75 make-ahead recipes that all look wonderfully delicious and simple to make. Alea is truly not only an amazing cook, she is an amazing and inspiring person too. I am very grateful to have met her and have learned many blogging tips from her too! Seriously, check out her latest cookbook, you won’t regret it. You can read more about Alea here. Another fun find I came upon this summer is this beautiful slate cheese board. It is perfectly-sized and not too heavy like some of the other boards I have used. 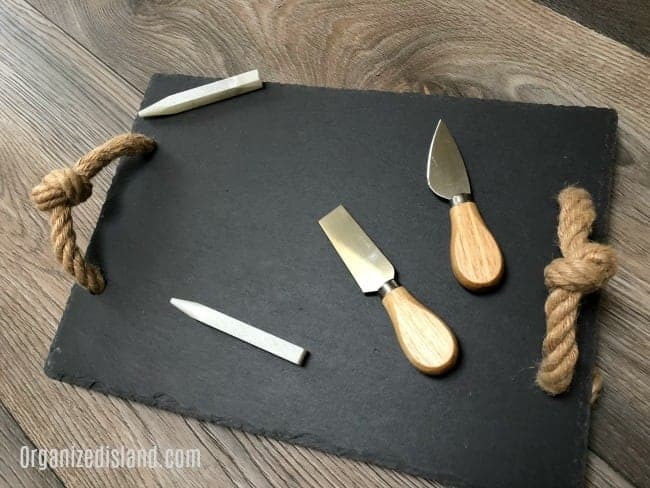 It comes with chalk and cheese knives and is perfect for times when you are taking an appetizer to a gathering. It has rope handles, looks beautiful, and makes a great gift idea. Right now it is under $20! 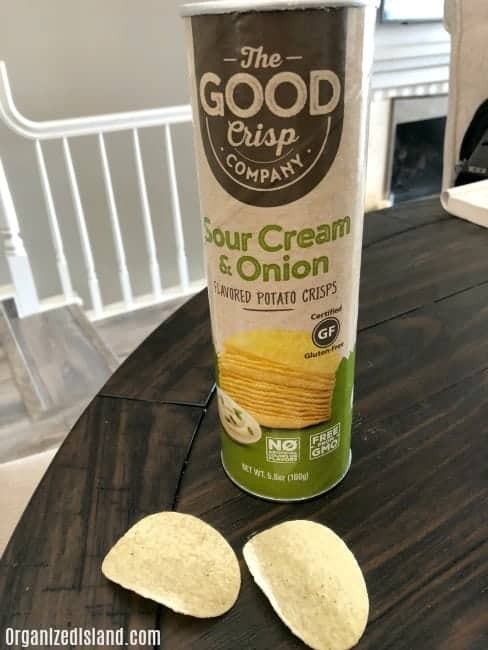 A great snack I discovered this summer is these delicious chips from The Good Crisp Company. I had not heard of these before, but let me tell you that they are filled with flavor and are gluten-free and non-GMO. Thanks to the DegustaBox subscription, I was able to check out this new to me product. You can read more about the way DegustaBox works here. I seriously plan to stock up on these soon as we’ve got lots of football viewing parties ahead. Then there is La Croix. 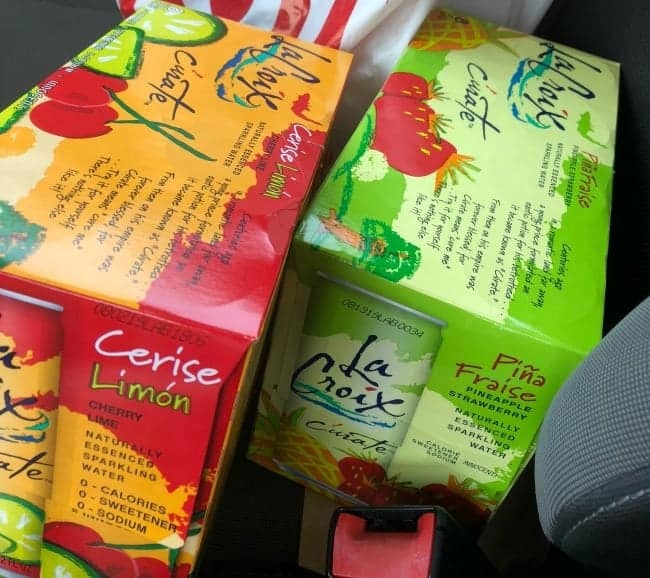 I love their beverages and tried two new flavors this week. I really liked the Cherry Limeade and have yet to try the Pear flavored. I have been a bit obsessed with them lately and if you follow me on Instastories, you have seen what I mean. Have you discovered something that makes your life better this summer? What have been some of your summer faves? I love The Good Crisp Company so much! We call them “Healthy Pringles” and we don’t actually care if they are or not. They’re SO GOOD!